Image from the official FLASH Facebook page. 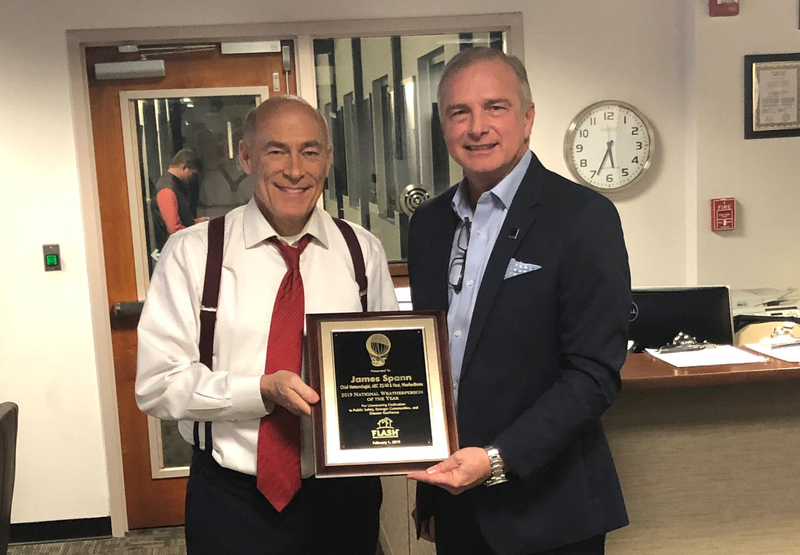 For his dedication to his community and for working tirelessly to prepare the public for severe weather, the Federal Alliance for Safe Homes, Inc. (FLASH) is honored to announce that James Spann has been chosen as the 2019 National Weatherperson of the Year. Dominic Sims, International Code Council CEO and FLASH Board Member, presented the award earlier to James Spann this evening at ABC 33/40. Weatherboy® – Weatherboy is the cumulative effort of a team of people from Miami to Denver to Hawaii who are passionate about connecting people with the world of weather. For the win, James will be featured on the National Weatherperson of the Year Facebook page and win a complimentary trip to the National Disaster Resilience Conference as well.